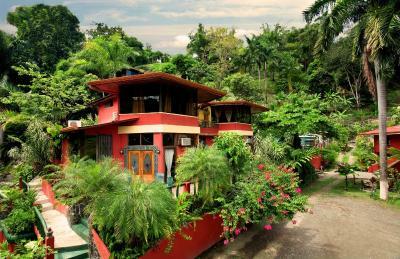 Lock in a great price for Las Cascadas The Falls – rated 8.3 by recent guests! The staff (Dallas and his brother in particular ) were very friendly and knowledgeable- they always went above and beyond to make sure our stay at las Cascadas was the best! Thanks! Great vibes, super friendly & accommodating staff. The staff was beyond our expectations. Dallas and Brandon were super accommodating!!! We loved this place. 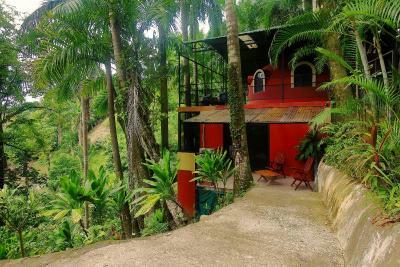 I will be sure and book another vacation at La Cascadas !! Family owned and operated. They couldn’t do enough to accommodate us. Great experience. Property was pretty . Room comfy and clean .. good ac. Good food, helpful staff. It was in a hidden area surrounded by rainforest with a small waterfall. We loved staying in The Nest which has a beautiful view of the ocean and is near enough to the waterfall to hear the sound. It was nice to have hot water to shower as well as an air conditioning unit to keep our room comfortable. Breakfast was wonderful, and very reasonable in cost. I enjoyed going in October which is the rainy season, but there weren't a lot of other people, so it was nice and quiet. This place is amazing. It is in the middle of the rainforest and the customer service was amazing. They took such good care of me and my friend. Nice location up the hill from town and an interesting property built into the hillside. Nice pool, great meals, and very friendly helpful staff. We saw some howler monkeys in the trees and at least one macaw. Nice not to be in the hubbub of Manuel Antonio - actually liked the town of Quepo better. The family that runs the place is nice and accommodating and had good suggestions for things to do. We came back late from a night walk and even though the kitchen was closed they made us a pizza and served us wine. The bed was comfortable and the pool nice for a dip when returning from a hike. Las Cascadas The Falls This rating is a reflection of how the property compares to the industry standard when it comes to price, facilities and services available. It's based on a self-evaluation by the property. Use this rating to help choose your stay! 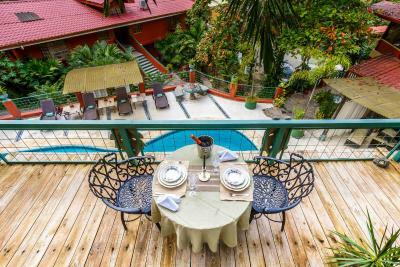 Las Cascadas is a boutique aparthotel in a beachfront town surrounded by wildlife. It offers scuba diving, flying boat tours and waterfall abseiling. There is also a pool with a waterfall and comfortable lounge area with free WiFi. 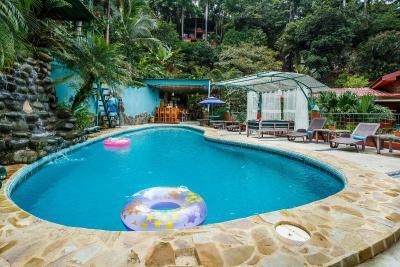 Guests at Condotel Las Cascadas can visit Manuel Antonio National Park, just an 8-minute drive from the hotel. Nahome Oceanfront Park is just 4 minutes' walk away. 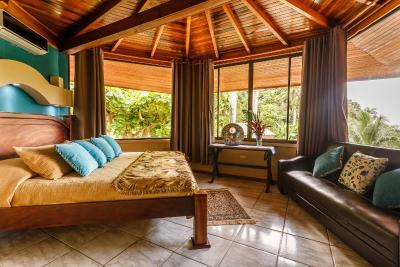 The spacious suites at Las Cascadas have air conditioning and wood interiors, decorated with tropical plants. Some also have free WiFi access, kitchen facilities or panoramic views. You can walk to central Quepos in just 5 minutes, where you can find a range of restaurants, shops and a casino. Pez Vela Marina is 2 blocks away and other local attractions include canopy zip line tours, whitewater rafting, sunset dinner cruises and nature walks. 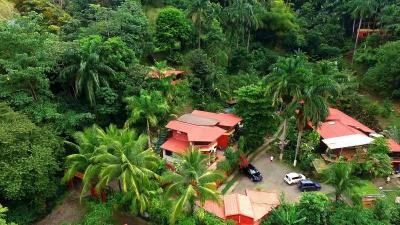 Condotel Las Cascadas is 1.9 mi from Quepos Airport. Parking is free, and the property may help the guests arrange a shuttle service for a fee, prior request, to and from the airport. When would you like to stay at Las Cascadas The Falls? This air-conditioned suite features one bedroom with a double, queen size or king size bed. 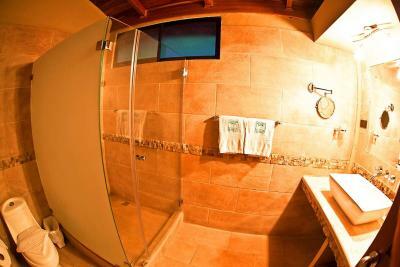 It comes furnished with a bathroom, a private terrace and has access to the pool. Some have ocean views. 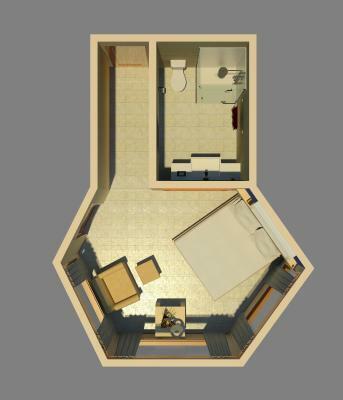 This air-conditioned condo features 2 bedrooms and 2 bathrooms. 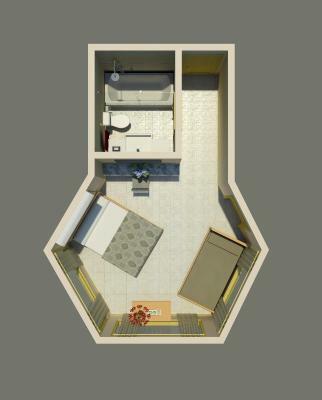 It has 3 levels and comes with a kitchen, cable TV and a living room. The master bedroom opens onto the rooftop terrace and has a king size bed an en-suite bath, while the second bedroom has a double bed and a sliding door with direct access to the pool. Garden-view condos or partial ocean-view condos are available upon request. This air-conditioned condo features 3 bedrooms and 3 bathrooms. 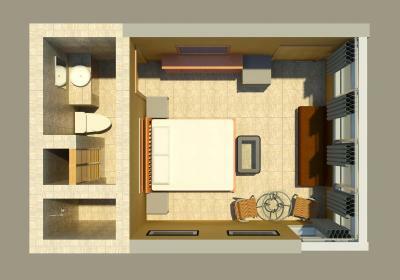 It has 3 levels and comes with a kitchen, Cable TV and a living area. The 2 master bedrooms open onto the rooftop terrace, and both feature a bathroom and ocean views. 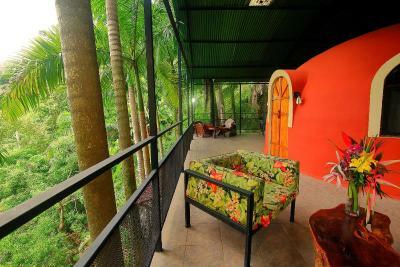 One has direct access to a private terrace overlooking the pool. 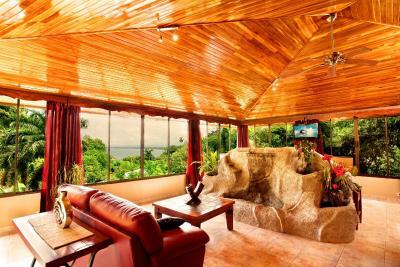 This luxury penthouse offers views of the sea and Cocos Island. 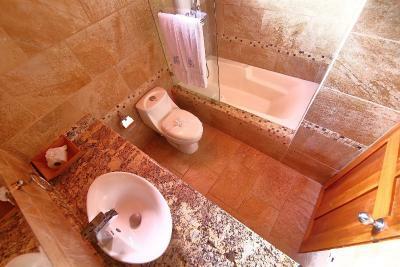 It features a king size bed, leather furniture and a fountain. 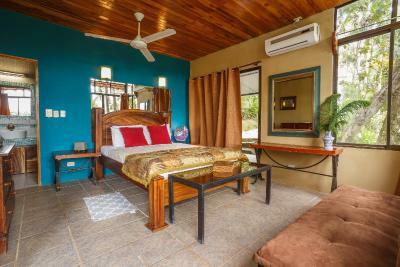 It comes equipped with air-conditioning, flat-screen TV and a bathroom with shower. This large deluxe apartment has a terrace and an open-plan living area with a kitchen. It has air-conditioning and comes with a Cable TV. 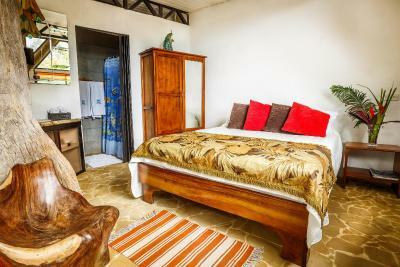 There is a double bedroom and features views of the pool. The bedding configuration of this room is 1 double bed. 1. 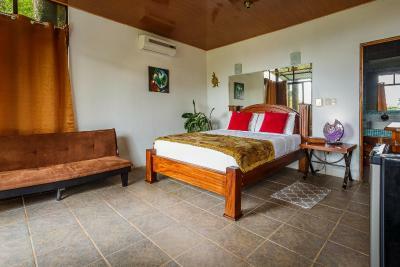 Split-level room is totally air-conditioned and features a private terrace, plus a fully equipped kitchenette with a stove, microwave, refrigerator and coffee maker. 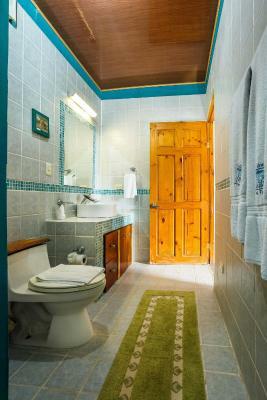 Guests also enjoy a cable TV and free WiFi. 2. Tree Top Dome, located on the highest point of the hotel, features stunning views of the property's surrounding, a spacious terrace, and fully-equipped kitchenette. Please note that rooms are subject to availability. Please contact the property in advance should you wish to be accommodated in specific room. 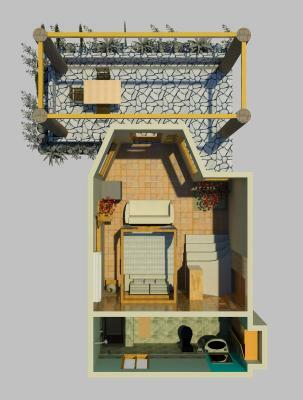 This villa features a dishwasher, sofa and stovetop. This suite has air conditioning and a sitting area. This apartment has a balcony, bathrobe and tile/marble floor. 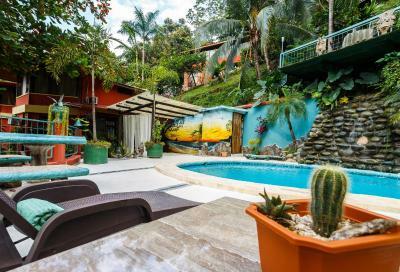 Condotel Las Cascadas “The Falls” is family-owned Boutique Hotel located in the Town of Quepos, just minutes away from the world famous Manuel Antonio National Park and all its wonders. Our Hotel offers individually designed accommodations with options on one, two or three bedrooms, all with a tropical elegance design, we give you the ideal natural environment for family vacation, romantic getaway or business travel. The convenient location of Condotel Las Cascadas “The Falls” offers an incomparable natural setting on lushly landscapes with ocean views from some of our rooms, only three hours away from Juan Santamaria International Airport in San Jose. 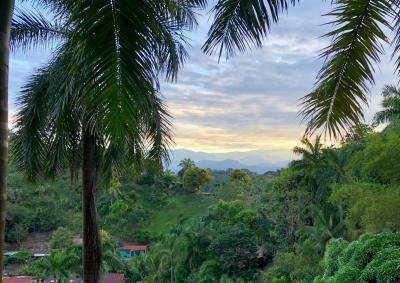 Enjoy endless summers with near perfect weather, balmy trade winds, and blue waters on a vacation in Costa Rica – the beauty is all yours to explore and experience. Condotel Las Cascadas “The Falls” is situated in one of the most popular tourist destinations in all Costa Rica, Manuel Antonio National Park, here you can experience the true essence of the area, sloths, white-faced monkeys and howler monkeys are part of the wildlife that you will get to see inside the park, this among countless tropical flora of Costa Rica. House Rules Las Cascadas The Falls takes special requests – add in the next step! Las Cascadas The Falls accepts these cards and reserves the right to temporarily hold an amount prior to arrival. Please note the hotel will charge 50% of the reservation upon booking and the remainder will be charged 14 days prior to arrival. Upon check-in photo identification and credit card are required. All special requests are subject to availability upon check-in. Special requests cannot be guaranteed and may be subject to additional charges. The roads to get there were more dirt and rubble than paved. We were questioning if we made the right decision as we got closer to the property. It was amazing! Fabulous owner and staff. Very welcoming. Beautiful grouds. Beautiful room. We would have loved to stay longer. Breakfast was great. 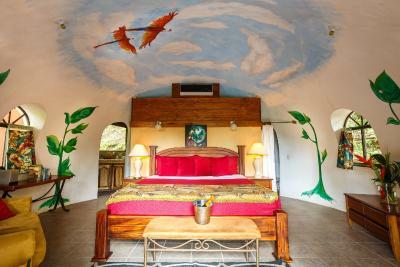 Staying in the “Dome” is a real treat as the wildlife comes to you. Monkeys, ant eaters, birds, etc. The hike is worth it to spend time in the forest canopy. A beautiful place to experience the sun rise and slowly reveal the mountains as they emerge from the darkness and the mist. 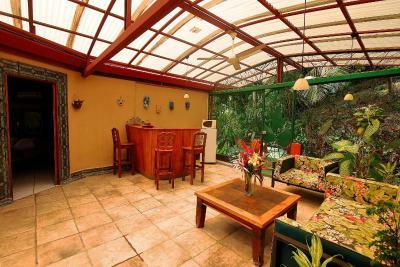 Our main reason for staying here was to visit Manuel Antonio national park. 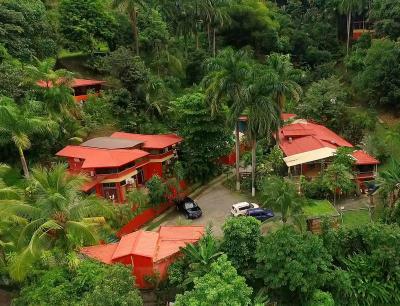 The hotel is in a good location for that, because it's only a fairly short car (or taxi) journey from the park and it's also close to the town of Quepos. In additional, there's a a fairly glitzy marina very nearby, which is nice to visit. The hotel itself consists of separate casitas, and we were fortunate in being in a casita right near the reception. Car-parking is completely secure, because it's inside the property. 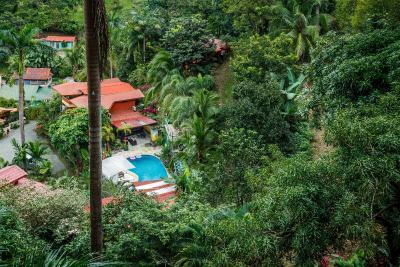 There's a nice swimming pool next to the bar and restaurant area, and it's pleasant to sit in that area and enjoy the garden and the wildlife (there are birds and monkeys in the trees). The owner and his wife and all the staff were extremely friendly and helpful. The hotel concept is unique and interesting. We lived in the Nest unit with great views (ocean included). The hotel ground is beautiful on a hill as if living in a forest. The original old natural trees are kept with the rental units built around the old trees. It is obviously that the hotel is a labor of love developed by the owner. 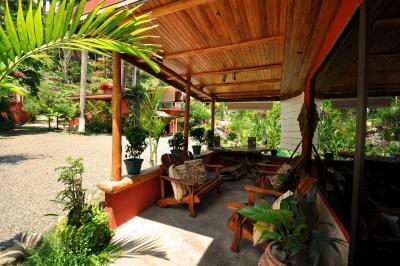 It is quiet and secluded, but conveniently close (5-7 minute walk) to the Marina/beach and the center of Quepos town where one can find many good local restaurants with very affordable prices. I prefer this quiet place than the busy public beach area near the entrance of the National Park. One of the friendly staff showed me the interesting flora and fauna on the hotel ground. Wild life such as iguanas, birds and white face monkeys (monkeys in the afternoon) can be seen from my unit and restaurant. Staffs and the owner were very friendly and helpful. There was not much water on the waterfall as it was in the dry season. The breakfast was excellent in the restaurant that also served delicious dinner. The restaurant service is great and personable. Pura Vida. Finding the hotel was difficult because the address given was wrong. it should have been described as near the marina at Quepos. not Manuel Antonio. We can't think of a thing. 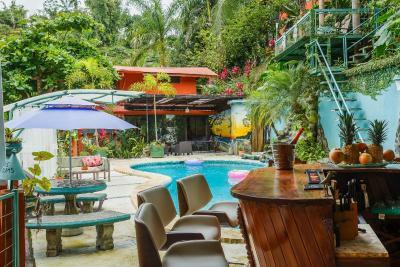 An oasis of serenity minutes from the chaos of Manuel Antonio, family owned and managed, someone always ready to provide assistance. Meals, delivered to yu or in the restaurant, excellent. 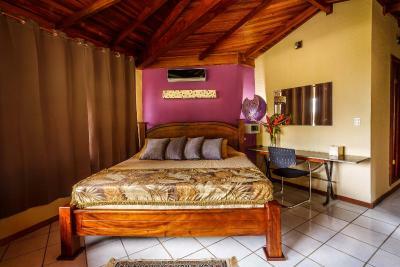 Beds best in Costa Rica. Every comfort with birds and monkeys to entertain. The location was perfect, and our room 'The Nest', whilst very small was super comfy. 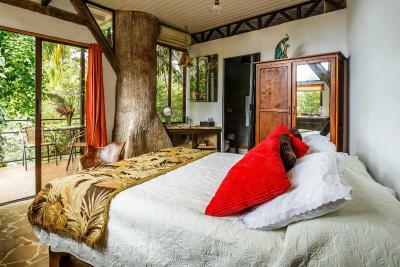 Great bed, shower and a little balcony that looked into the forest and out towards the ocean. We saw all manner of wildlife without having to leave it! Also the family that run it are lovely, particularly the 2 sons who work really hard and couldnt have been more helpful.